Alt-rock nerds of the '90s are in for a treat, as Weezer and Pixies have just announced plans to tour together next summer. The two bands will co-headline the upcoming shows, with support from the Wombat for the first half of the tour. Support for the second leg of the trek will be announced soon. The string of joint shows kicks off on June 23 in Tampa and will come through Toronto on July 14 for the sole Canadian date. The full run wraps up in Phoenix on August 12. See the full list of gigs down below. Tickets for the tour go on sale next Friday (November 10) at 10 a.m. local time. Weezer fans that sign up for the band's email list now will get access to a pre-sale that starts on Monday (November 6) at 11 a.m. local time. "We're all big Weezer fans," Pixies frontman Black Francis said in a statement. "So we're really looking forward to this summer. We have a lot of respect for Weezer, they're not afraid to take risks with their music." 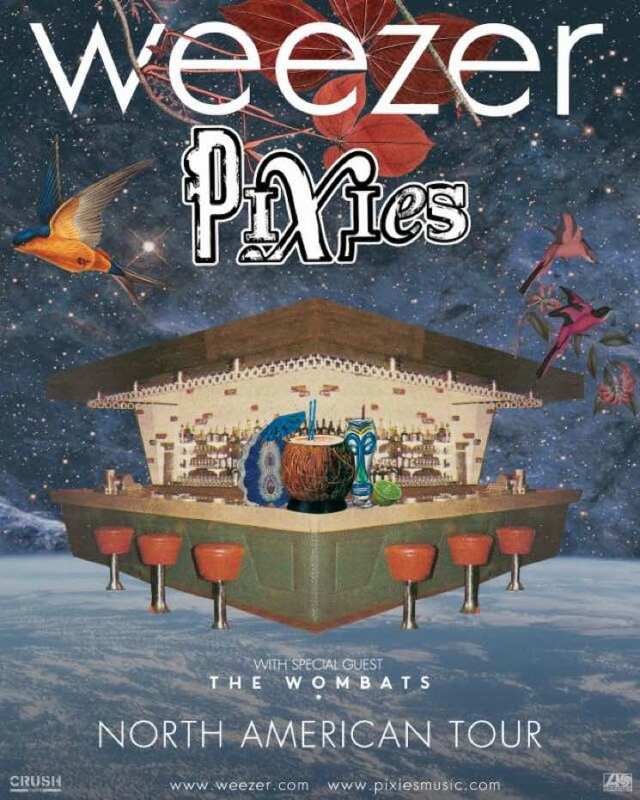 Weezer just released their latest LP Pacific Daydream; Pixies' latest album arrived last year with Head Carrier. Weezer's early albums are available in a vinyl box set or as individual LPs through Umusic.